Yesterday I got taken out to another archaeological site, in the Ahmor area of North Uist, this one a ‘barp’ (a mound or cairn of stones) about an hour’s walk inland from the road. 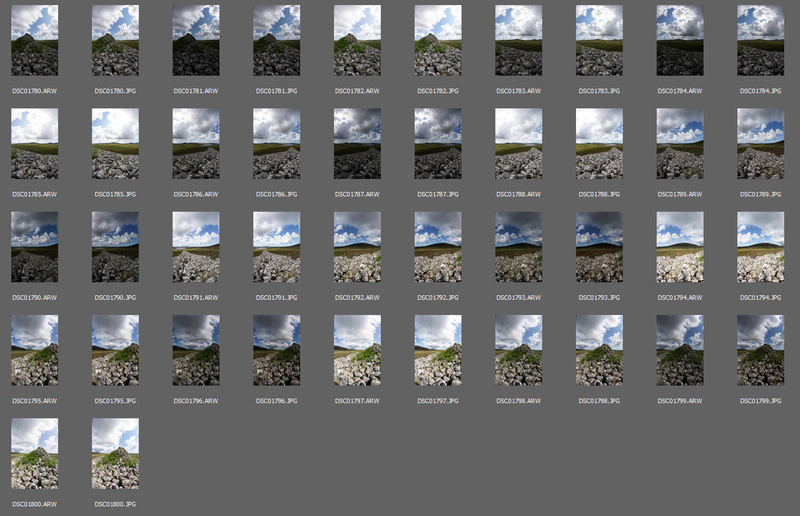 I don’t really know much about shooting landscapes, but since coming to North Uist & shooting these panoramas I’ve noticed that scattered clouds make for much more interesting images than either completely clear or completely overcast skies. It also helps the panorama software, as a large expanse of flat blue or grey doesn’t have any features for the software to pick up on & match between adjacent images. Yesterday was the perfect example of this & I’m really pleased with how the panorama I shot up next to the barp came out. To this 360×150 eqirectangular panorama? Some stills taken around Dun an Sticir, one of the many little island forts dotted around North Uist. One of the spherical panoramas, which I took from halfway along one of the stone causeways between the islands, actually makes for an interesting photo when viewed flat like this (with a bit of the sides cropped off). Through a strange set of circumstances I am spending the best part of 3 months this summer (the time between submitting my PhD thesis & having the viva exam) living & working in the Outer Hebrides, specifically the isle of North Uist. 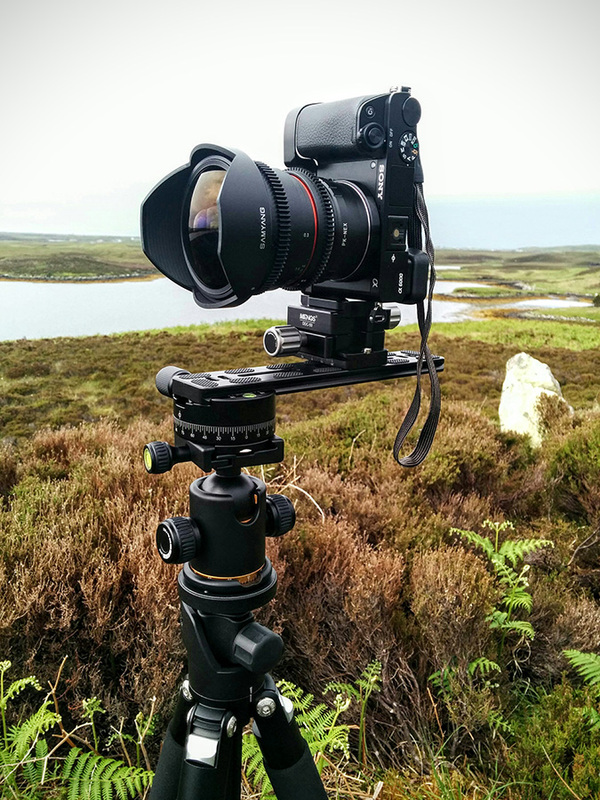 I am working with Taigh Chearsabhagh, a museum/arts centre in Lochmaddy (the largest settlement on North Uist) to first of all produce spherical panoramas of archaeological sites around the island for part of an exhibition next year.